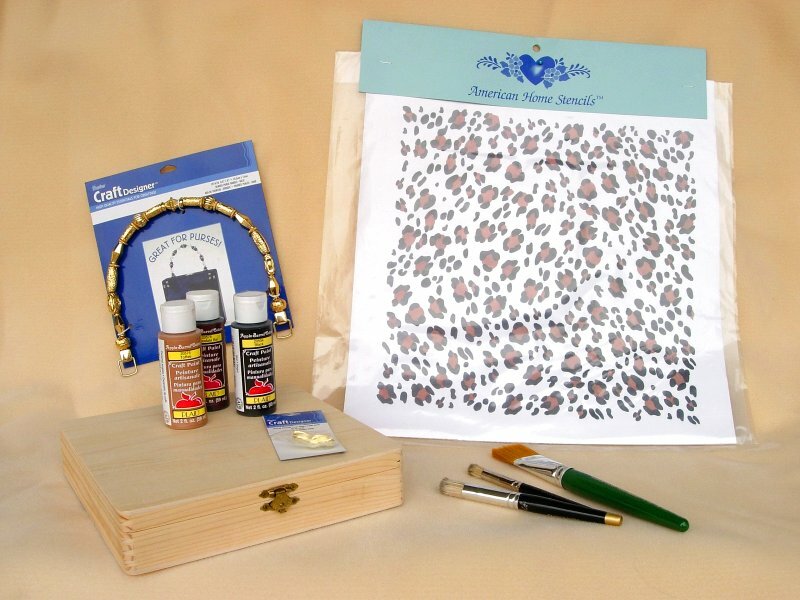 Would you like to create a unique and unconventional project with those inexpensive wooden craft boxes you see in all of the craft stores? Why not try making a cigar box purse? It's fun and definitely unique, and the design possibilities are endless! These purses are available in all shapes and sizes and we're sure to have many stencil designs to accommodate your individual style. 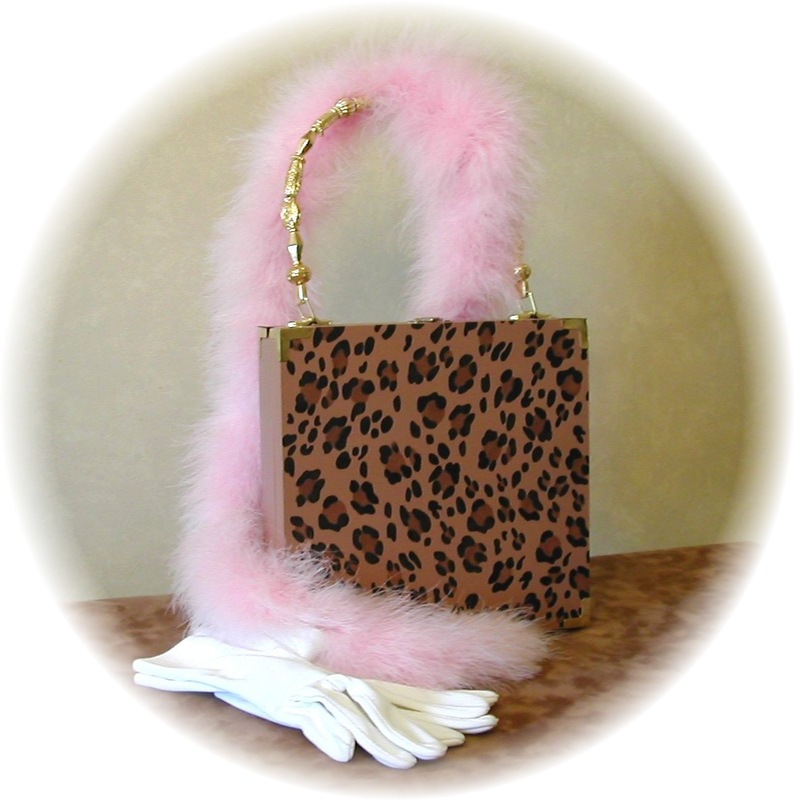 Little girls and big girls alike will have fun creating and using these great bags. Remove the latch and hinge hardware. Set aside. Base coat the outside of the box with Toffee color. Allow to dry. Apply the first overlay of spots with the black paint. 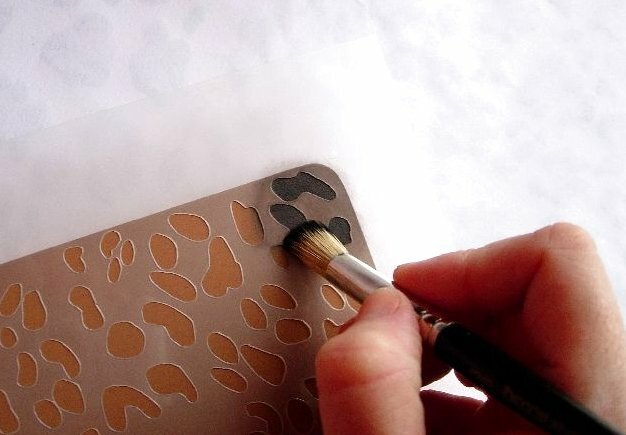 Apply the second overlay of spots with the brown oxide paint. Attach the latch and hinge hardware, and the handle clamps with the handle. You're all finished. Fill your purse with your favorite things, and enjoy! 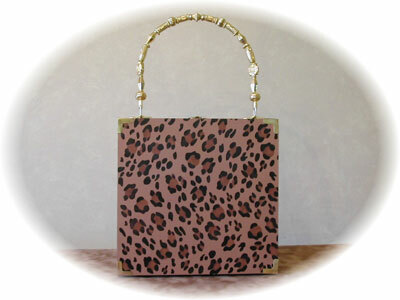 As an optional step, we finished our purse with an interior satin varnish for more durability. We also embellished with some gold corner pieces. You may wish to embellish your purse with metal trims, ribbon, beads, sequins etc.